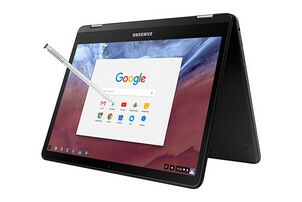 Chromebooks, which run on Google's ChromeOS, have quickly become one of the major drivers of mobile computing as they provide an easy way to access the web without worrying a lot about deployment, administration and configuration. Although ChromeOS is an almost online-exclusive OS, Chromebooks can still be adapted to handle most workflows. In this article, we explore what a Chromebook can do and help you decide if you should be hopping on the Google bandwagon. Chromebooks are tailor made for cloud-based workflows. Just over a decade ago, "the cloud" was merely an experimental feature pioneered by Amazon, and internet connectivity was seen as more of a bonus to enable additional work (or play) rather than a requirement for it. Fast forward to today, we find that more and more of our productivity and entertainment software are now becoming increasingly reliant on the cloud. Cloud computing has its own benefits such as having instant and secure access to files from virtually anywhere, on any platform and an always up to date operating environment. Although PCs can still be used without the internet, a great deal of functionality is lost without it. It is precisely this environment that caused Google to feel the time was right for their Chromebook computer — and since Chromebooks have been one of the few bright spots of growth in the PC market these past few years, it is hard to argue that their introduction has been a mistake. With Chromebooks, one can reap most of the benefits of the cloud while also including the ability to connect to more advanced PCs remotely. For those interested in trying out ChromeOS, there are a bevy of Chromebook offerings from OEMs such as HP, Samsung, Acer, Asus etc. Notebooks such as the Asus Chromebook Flip, the Samsung Chromebook Pro, and the HP Chromebook 13 have seen a good number of takers. Google also made its own Chromebook, the Chromebook Pixel, which debuted in 2013. The company is all set to announce its next Chromebook iteration, the Pixelbook, which is to be marketed as a premium Chromebook. Before you invest in a shiny new Chromebook and take the dive into ChromeOS realm, it helps to know what are the apps and features supported by the OS and how to get the most out of it. This article aims to address just that, so lets get started. 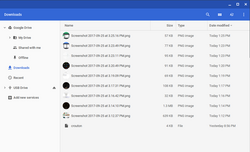 The file system of ChromeOS has Drive access baked in. 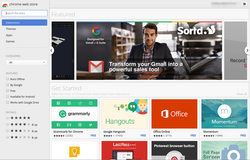 Perhaps the most useful Chrome apps are the ones centered around Google Drive. Access to the user's Drive account is baked into the file manager which makes opening, organizing, and managing files saves in Google's cloud storage service relatively simple. Google offers 100 GB of Drive storage free for two years with the purchase of a new Chromebook. (It should be noted that after this two-year period, users will have to pay a subscription fee to keep the storage active, currently US$2/month or US$20/year.) Drive grants a 7-day grace period to renew the subscription failing which the storage resets to the free 15 GB limit. Users will still have access to existing files but lose the ability to upload any more files till they renew the subscription plan. 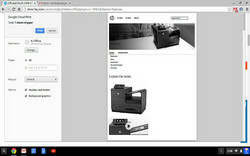 Chromebooks also have the ability to make Drive files available for offline access, although users will be limited by the physical storage of the Chromebook. Google Drive also has client apps for Windows, macOS, Android, and iOS making it easy for users to continue their work across platforms. Google's online office suite (which includes Docs, Sheets, and Slides to name a few) is also built into ChromeOS. Documents, spreadsheets and the like can also be made available for offline access and use, much like files stored in Drive. These office apps are similar to those in Microsoft Office: Docs functions like Word, Sheets replaces Excel, and so on. However, since these apps are still based in the Chrome browser, they're functionality is limited compared to their Microsoft analogues. However, they still offer quite a bit of functionality. For instance, Sheets can create and manage pivot tables, which can be very complex in nature. 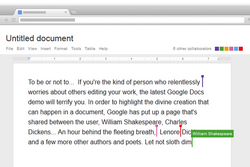 Google Docs is a fairly capable Word Processor for all but the most demanding users. Google Sheets is an spreadsheet creation tool that offers a few advanced features, like Pivot Tables and complex formula calculations. 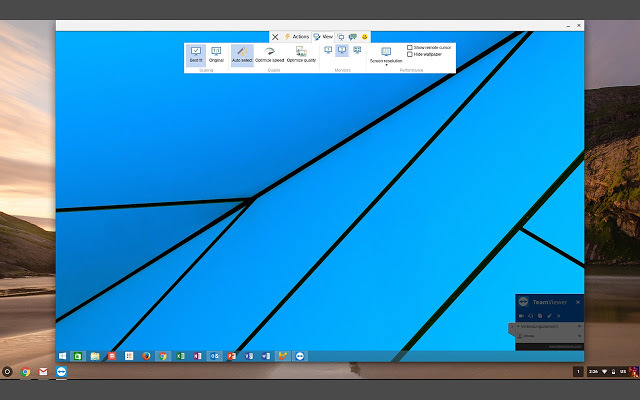 These apps also have a leg up on other office suites by enabling document sharing and live collaboration. A user can share any document in the Drive office suite with other Google accounts. Once shared, all users with whom a document has been shared can simultaneously access it and make edits. 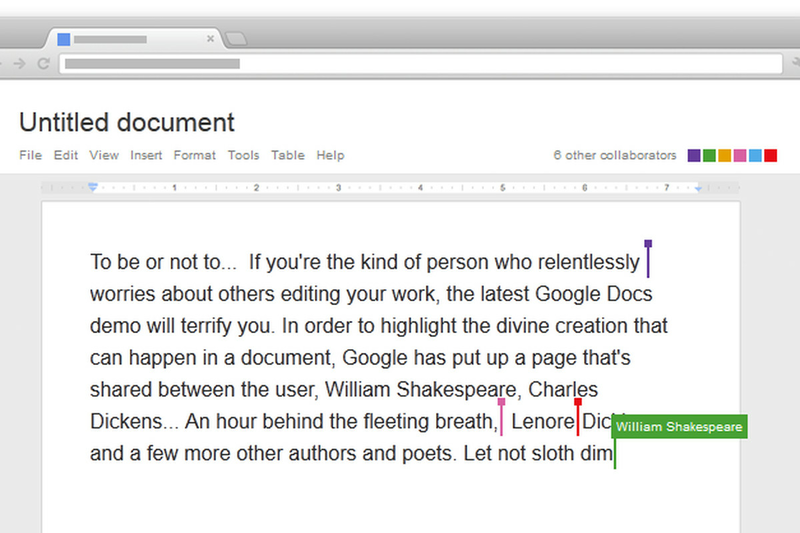 Collaborators and their edits are visible to other users in real time, which can be a boon in team environments. Google Drive is becoming more and more common in enterprise and government institutions where team collaboration is highly encouraged. There are a few caveats, however, which some users might find limiting. Print jobs, for example, need to be almost exclusively routed through Google's Cloud Print. 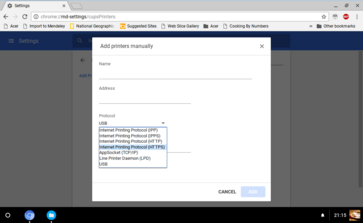 Although Google Cloud Print enables remote printing convenience, you need a Cloud Ready printer or at the very least, the printer should be connected to a network. Therefore, offline printing could be an issue. Thankfully, HP has stepped forward and offers a HP Print for Chrome app in the Web Store that enables printing via the web or even via USB. This works only for HP printers at the moment. Support from other printer OEMs is lacking in this aspect. So what about those stuck with legacy USB printers or printers from other OEMs? Starting from ChromeOS version 56 onwards, Google has enabled USB printer detection in the OS. The printer detection works via the well known Common Unix Printing System (CUPS), which is inherent to *nix kernel-based systems of which ChromeOS is one. However, Google still prefers users direct print jobs to its cloud printing service, therefore, this is not directly evident and needs to be enabled first. 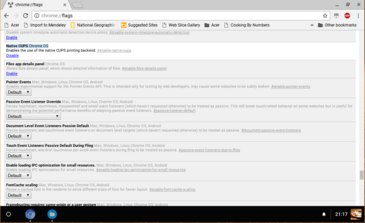 To do that, simply type chrome://flags in the browser to access the hidden settings. Scroll down till you find the Native CUPS Chrome OS flag and set it to Enable and restart the Chromebook. Now, you can go to Settings and add printers using a host of protocols, including USB. This feature should work theoretically with any printer irrespective of the OEM. Enabling CUPS allows USB printers to be added to ChromeOS. There are a few other productivity apps available as well. Although ChromeOS lacks the full fledged suites from the likes of Adobe, Corel, etc., there is no dearth of capable photo editors in the Chrome Web Store. Pixlr is a decent (if underpowered) replacement for Photoshop. 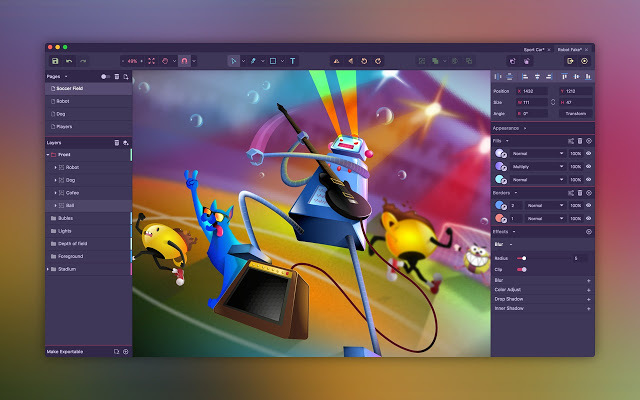 Gravit Designer is a full-fledged cross platform vector graphics app that works offline. Gmail Offline can be used to pen emails to be sent once an internet connection is reestablished. Keep can be used to take notes or make checklists for later use. There are also some niche apps, such as GeoGebra, a functional graphing tool that math teachers may find useful. Coding apps such as Zed Code Editor allow for drafting scripts and code in different languages (C++, Java, Perl, Go) and a few of these even have a compiler that can execute some simpler programs. 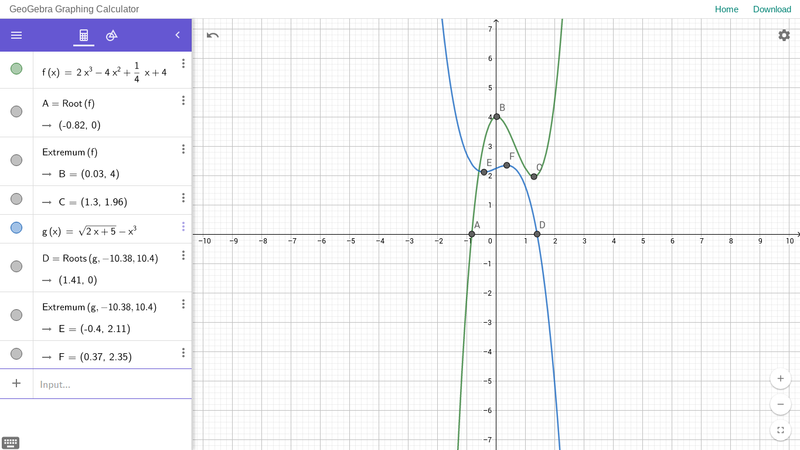 GeoGebra is a tool for graphing two-dimensional algebraic functions. 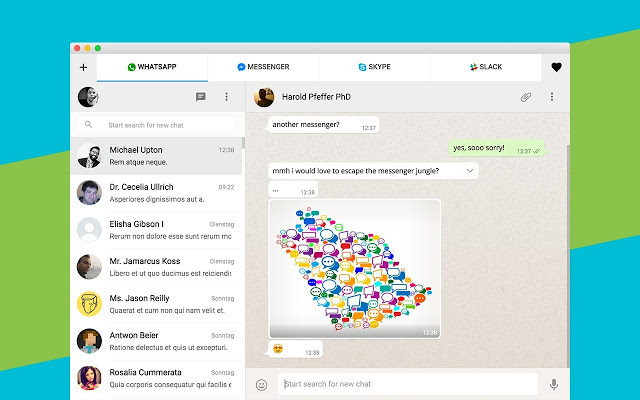 Instant messaging apps are covered as well. There's Google's own Hangouts app along with the likes of Skype and Telegram. 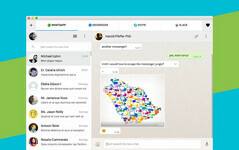 There are also all-in-one messaging clients such as Multi Messenger that combine multiple services such as WhatsApp, Skype, Facebook Messenger etc. into one. 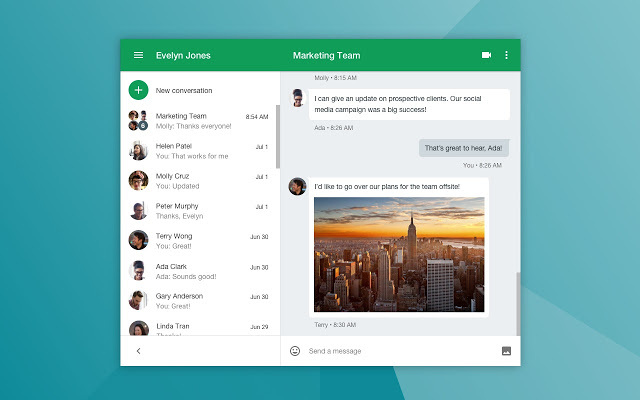 There is also Slack and Asana for team collaboration and task management. 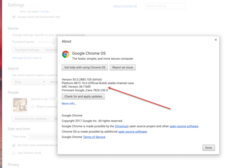 For those who require to remotely access computers for troubleshooting or file access, Google provides a Chrome Remote Desktop app. Popular Remote Desktop Protocol (RDP) client, Teamviewer is available as well with offline functionality. These RDP apps allow remote access to other Chromebooks, Windows, Mac, and Linux PCs in the network. In short, if there's an app or service using modern HTML5 standards, chances are that you are likely to find a Chrome app for that service. One of the primary use cases of any consumer-grade notebook is media consumption. 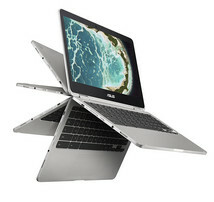 Chromebooks do well on this front so long as expectations are tempered. Keep in mind that a Chromebook with a Full HD display is still a luxury, and high DPI Chromebooks are even rarer (and considerably more expensive). 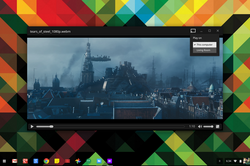 However, for those that don't mind watching 720p or 1080p video, Chromebooks make for competent media machines. The chipsets, though underpowered, can still handle 1080p playback and FHD content streaming with nary a hiccup. Lack of good offline video playback software and low storage means Chromebooks are better suited for streaming media than offline playback. Apps like VLC do exist, however, for those wishing to carry their local media on the built-in storage, USB drive, or SD card. It should be noted that Chromebooks are compatible with Google's Chromecast streaming device, which allows for easy screen streaming at FHD or lower. 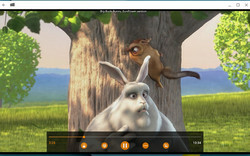 Users can merely click a button built into the Chrome browser to cast to a Chromecast and media content will instantly show up on the connected television or monitor. 4K, on the other hand, is a bit more problematic. 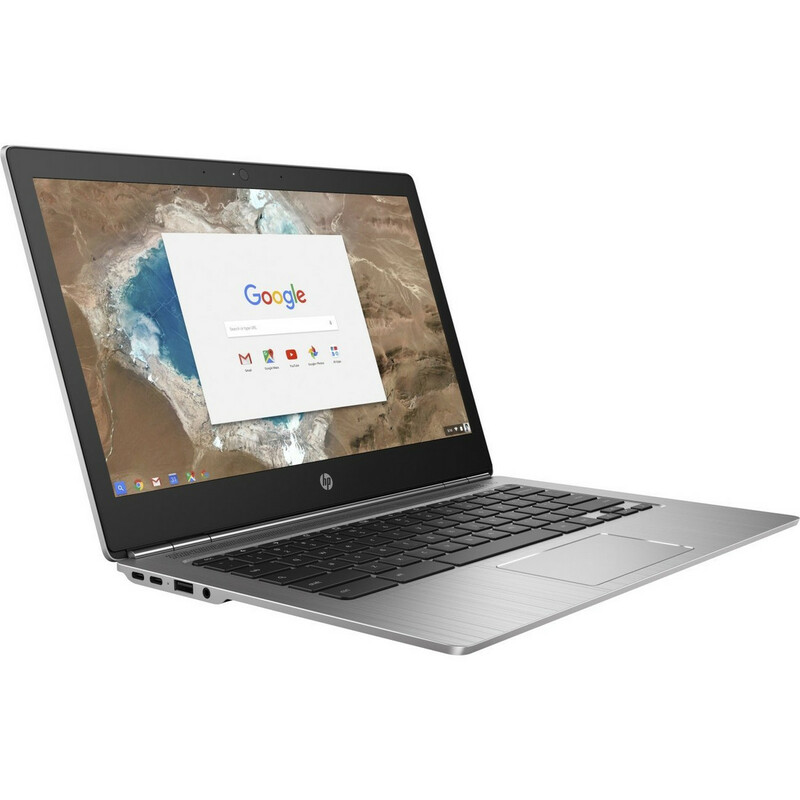 Chromebooks with a high-resolution screen, like the Google Pixel 2, have powerful hardware capable of pushing that many pixels, but the average Chromebook does not. Most Chromebooks sport an HDMI port for connecting to an external monitor or TV, but these are typically HDMI 1.4 compliant. That rules out 4K resolutions at 60 Hz, which in turn limits usability at such resolutions. Add to that the low-tiered processors in most Chromebooks and you can see why 4K is just out of the reach of a typical Chromebook. Movie playback at 4K is possible, as most movies run at 24 frames/second, but stutters and load times caused by the poor processing power of the compatible video codec and weak CPU can lead to a frustrating experience. It helps to note that there no native apps for Netflix or Hulu. 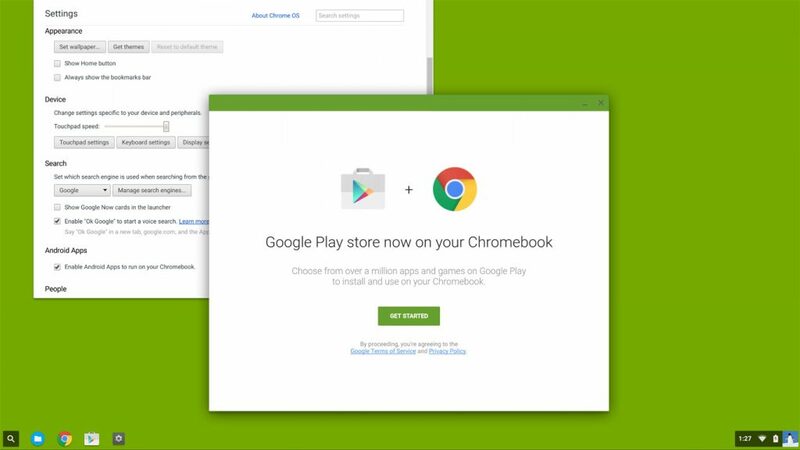 Users will have to use the website or use the corresponding Android apps on supported Chromebooks. Likewise, music streaming services such as Spotify, Pandora, Groove Music etc., do not have native ChromeOS apps. There are YouTube and Google Play Music apps but those are just links to websites. Most games are merely links to flash gaming sites. What about gaming? Unfortunately, since most Chromebooks run on very inexpensive and low-tier hardware, AAA titles are completely out of the question. In addition, the online nature of ChromeOS and restrictive file system make traditional gaming nigh impossible. Steam, GOG, or other online game distribution apps are completely incompatible with ChromeOS, so users will not be able to access their game libraries. However, gaming is not entirely out of the question. Most games available on ChromeOS are, sadly, flash-based throwaway titles found on web-based gaming sites like Miniclip or Armor Games. However, there are a few glimmers of greatness, especially for retro gamers. 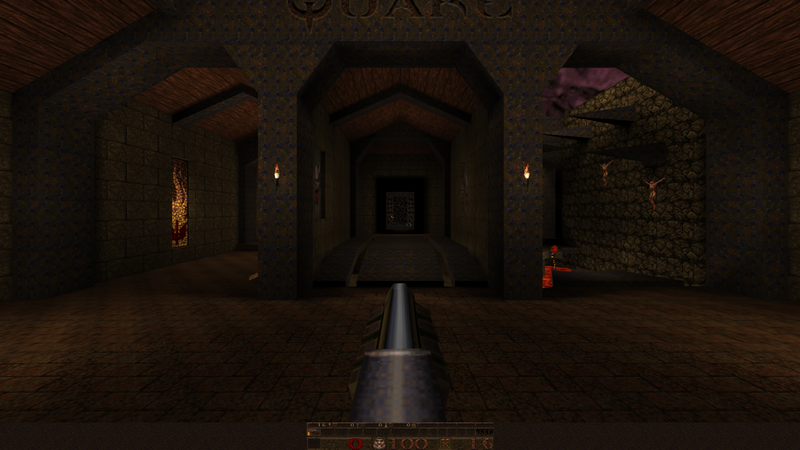 The original Quake has been ported to ChromeOS and is freely available on the Chrome Web Store. The version available for download is only a shareware demo that includes the first of four episodes, but if users have the files for the full game, they can be loaded into the app to additionally unlock the remaining three episodes. There are also a few console emulators available, including ports of VisualBoy Advance and SNES9x, popular emulators for Nintendo's Game Boy Advance and Super Nintendo, respectively. 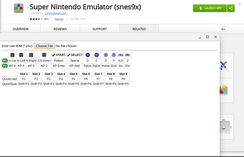 These emulators work offline and can access ROM files in local storage. 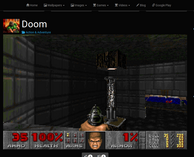 DosBox is also available, although the app currently doesn't work on the latest version of ChromeOS. 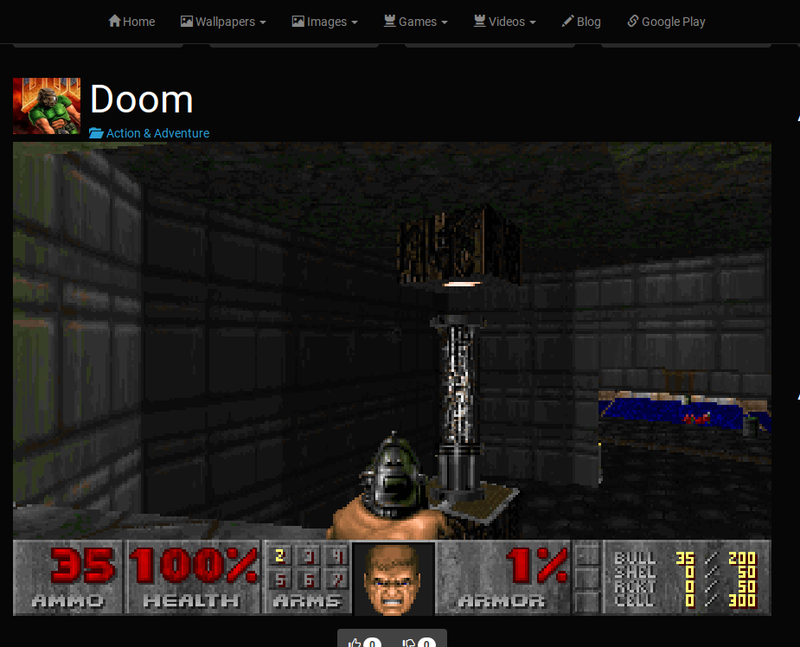 A Chromebook can run Doom, although sadly it's a flash port on a gaming website. 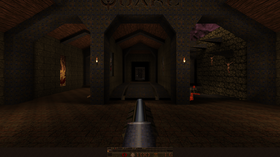 Quake is available as a native ChromeOS app. 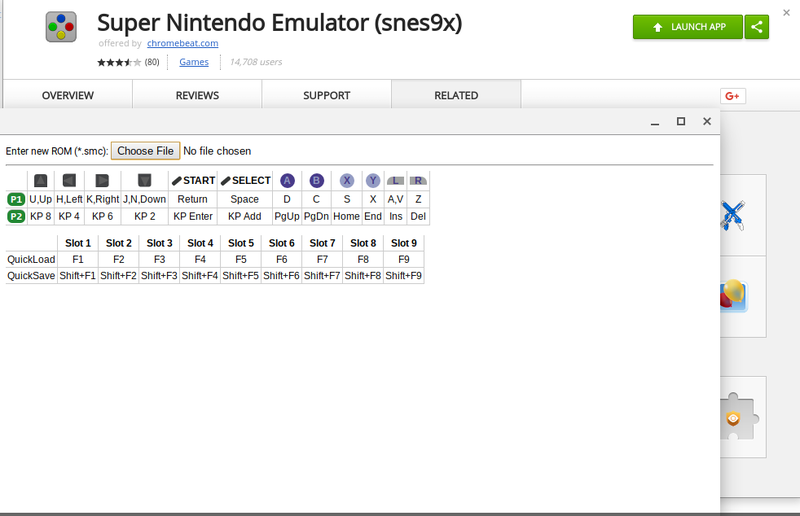 Retro emulators, like SNES9x, are another option for gamers. All said, gaming is limited and shouldn't be a focus when considering a Chromebook, but there are a few ways to play some older titles. For those willing to tweak the device a bit further can also install Linux, which can run some titles through distributors like GOG and Steam. We discuss this further in our Linux section below. A majority of the apps in the Chrome Web Store are just bookmarks to web pages with little to none offline functionality. Android app support will enable more native app development. The Android marketplace is HUGE. With millions of apps available in the Play Store and the ease of deployment of non-Play Store apps, enterprises have much more functionality than what apps in the Chrome Web Store provide. Android apps can provide much better low-level functionality than web apps can ever provide. Running Android apps natively can enable better cross-platform experiences using both Chromebooks and Android smartphones. Recent ChromeOS Canary builds have support for touch built-in. This could imply that Google is optimizing the OS for touch-based interaction to better support Android apps in the OS. 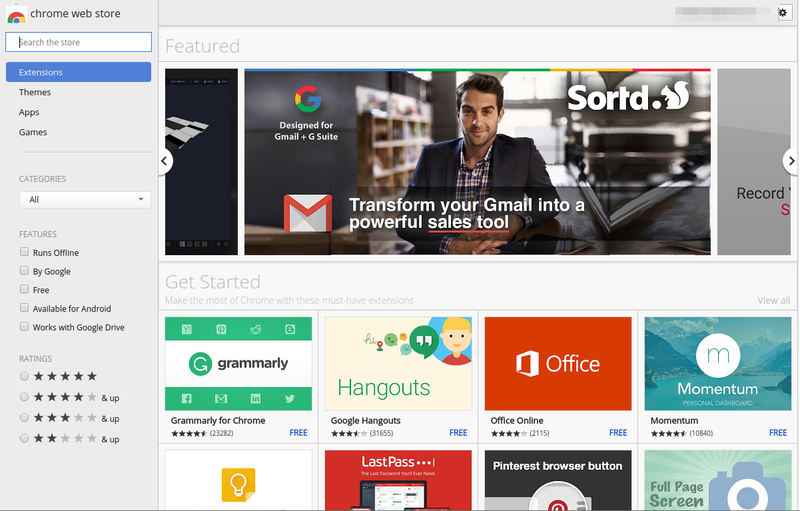 In its current iteration, not all Android apps play well with ChromeOS. However, that shouldn't deter you from trying them out. The first and most obvious way (if you have a compatible Chromebook) is to check for updates to your system and see if the ARC component is installed. You can verify that in the About ChromeOS screen. Once you've verified that ARC is installed, follow the steps here to enable Android apps in your Chromebook. The ARChon Runtime can be installed as a Chrome extension. If your Chromebook does not support Android apps yet, you can manually enable ARC within Chrome. Google has an extension on the Chrome Web Store called ARC Welder that allows you to package an APK as a Chrome extension. ARC Welder allows only one app to execute at a time and you must remove an already compiled app to make way for a new one. There's also the option of using the community developed ARChon Runtime for Chrome, which does the same thing. The advantage of using ARChon is that there are many tools that allow you to package APKs into Chrome extensions and it allows multiple apps to run simultaneously from within Chrome. The disadvantage of ARChon is that it still does not support Google Play Services (ARC Welder has limited Google Play Services support). twerk allows converting Android APKs into Chrome extensions that can run using ARChon. You can package APKs directly from within Chrome using an app called twerk that builds a Chrome extension from an APK. 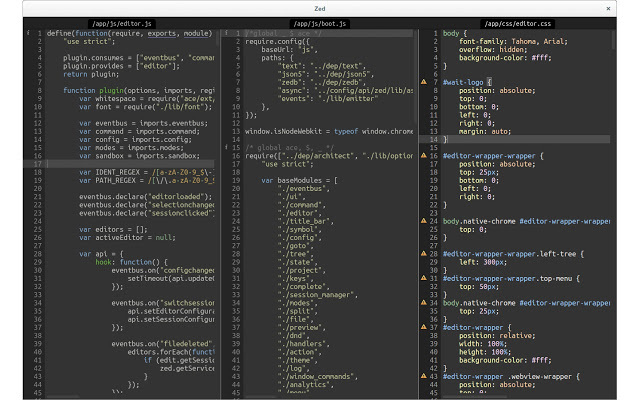 Simply drag the APK onto twerk's UI, choose the build parameters, and build the app. The packaged app can now be loaded as a Chrome extension. Many Android apps rely on Google Play services and hence, will throw up an error when you try to load them in Chrome. You can try downloading the Play Store and Google Services APKs but at this stage, its either a hit or miss. Flipboard Android app running in Chromium. Fortunately, there is a steady collection of ARC apps that work with Chrome. You can find the compatibility status of various apps with ARC in this spreadsheet. Apps in the first page will almost definitely run while those in the other pages might require some tinkering or not run at all. It is worth noting that many Android apps rely on smartphone/tablet specific features such as sensors (gyroscope, accelerometer, and compass) and GPS radios, which are not found in laptops. Therefore, apps that rely on these hardware can be expected to have compatibility issues with ARC. The lack of touchscreens in most Chromebooks does not affect regular ChromeOS app usage as these apps are mostly built with mouse and keyboard in mind. However, touchscreens can be of immense use when Android app support on ChromeOS matures. A few Chromebooks such as the Asus Chromebook Flip C302 and the Lenovo Flex 11 Chromebook incorporate touchscreens and you might need to factor this in if you are looking towards touch-based interaction alongside keyboard and mouse. Chromebook users who feel the online-centric nature of the operating system is too constricting can extend the functionality of Chromebooks by running Linux. 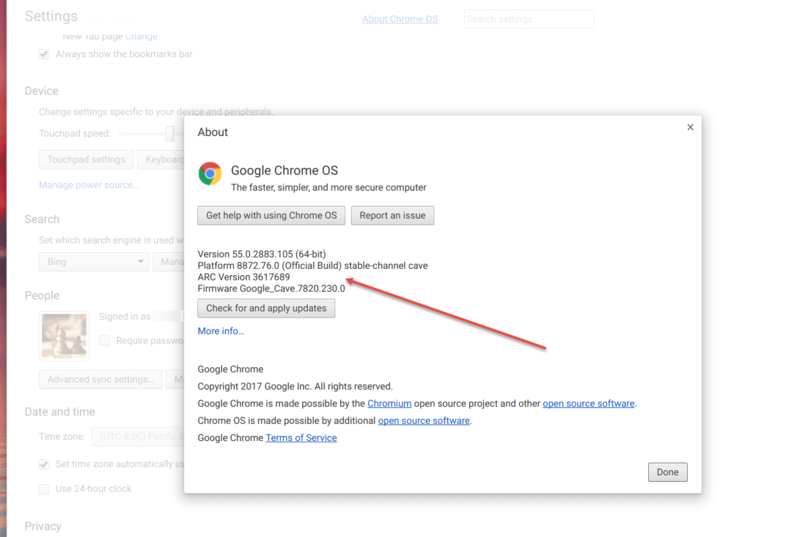 ChromiumOS (and, by extension, ChromeOS) is based on the Linux kernel. This architecture makes it possible to run Linux on any Chromebook with a little bit of elbow grease, which greatly expands the utility and versatility of the machines. The introduction of Linux turns Chromebooks from browser-centric devices to inexpensive machines capable of office work, coding and programming, light audio and video editing, gaming, and more. 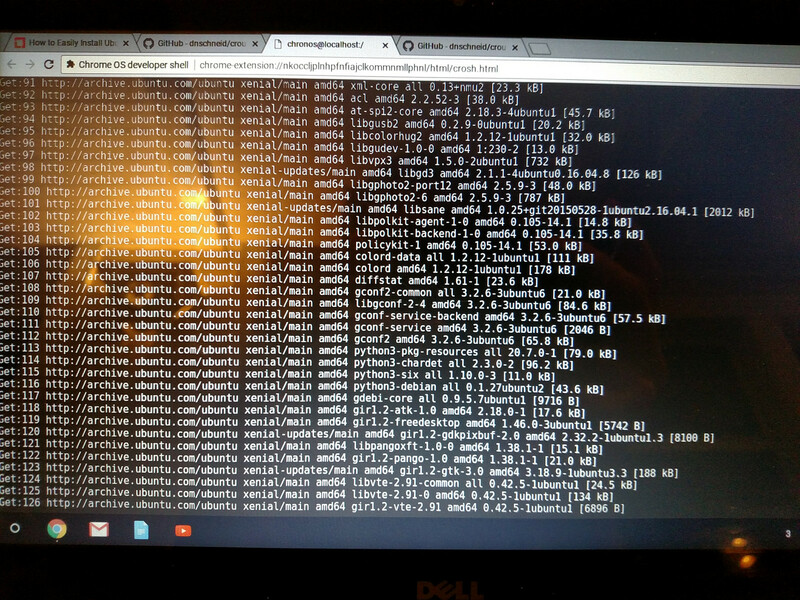 There are multiple tutorials on running Linux on a Chromebook dating as far back as 2012. 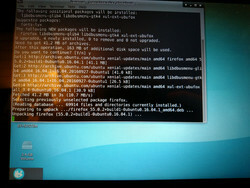 Because of the wide availability of instructional material, we won't go into detail here on setting up a Linux distro. 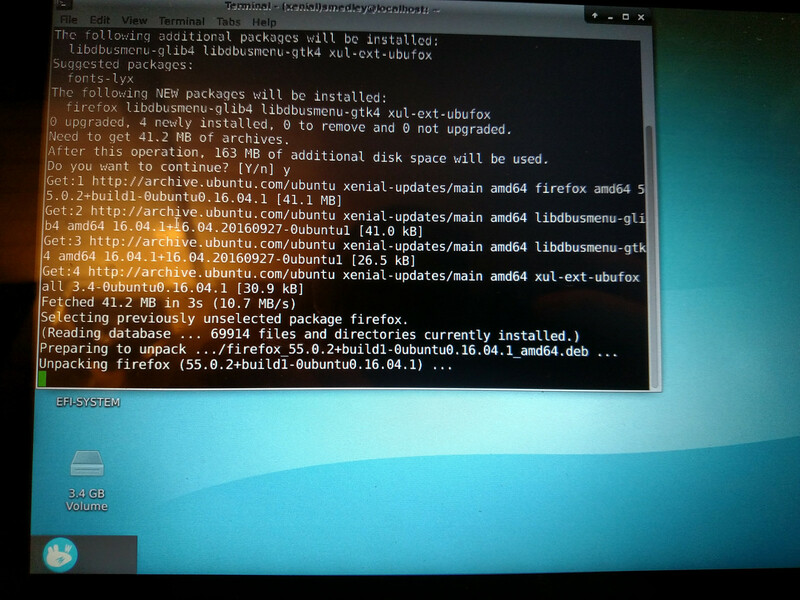 It should be noted that there are two main methods to run Linux on a Chromebook. The first is either dual-booting a Linux distro or completely replacing ChromeOS with a distro of your choice. The process is typically very cumbersome and takes some heavy developer work. It also runs the risk of bricking the device entirely and is not for the light-hearted. The most popular distro for this method is ChrUbuntu, a version of Ubuntu with slight optimization tweaks designed specifically for Chromebooks. 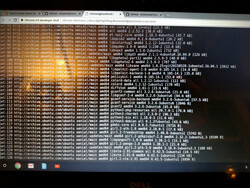 The second method of loading Linux is much easier and involves running a distro through chroot, which in this case can be thought of as a shell run through the Chrome browser. Using chroot is much easier and, as it runs inside of ChromeOS itself, presents a much lower risk to the machine. Chroot brings a notable advantage to dual-booting; since Linux is running in a chroot shell, users can switch between Linux and ChromeOS with a button combination at the drop of a hat. 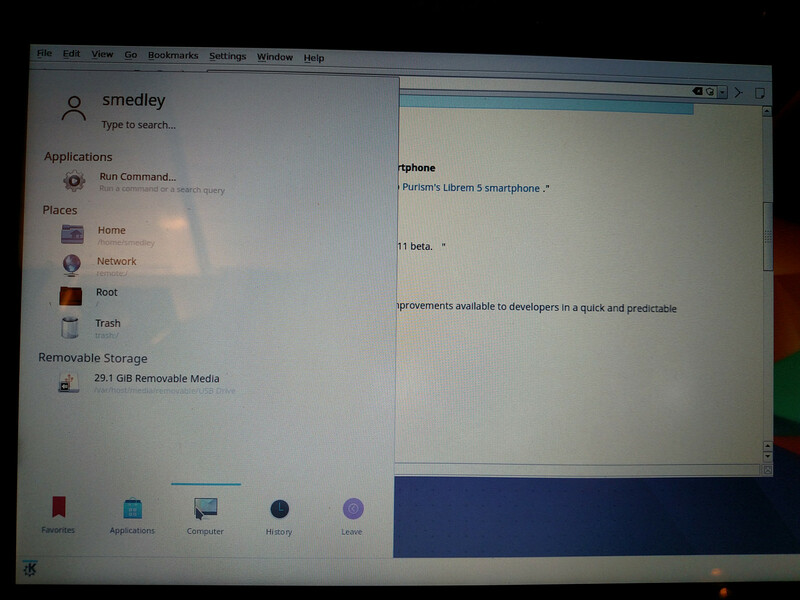 Either method involves setting the Chromebook up to run in Developer Mode, which may make the device more unstable. Developer Mode essentially unlocks several of the safety protocols baked into the underlying OS scripts at startup, which is what enables Linux to run either alongside or within ChromeOS. After setting the Chromebook to boot into Developer Mode, users will need to install Crouton (ChRomium Os Universal chrooT envirONment), a free tool specifically designed to open the operating system and allow Linux to run in one way or the other. As of this writing, Crouton is still widely available, although it cannot be determined if the project is still actively supported. As it's a fairly static piece of the Chromebook/Linux puzzle, future updates are unlikely but unnecessary. 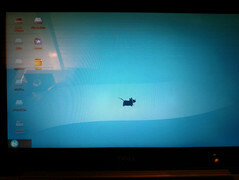 Crouton is built around Ubuntu Linux. 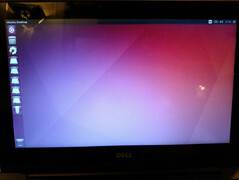 As such, the Ubuntu kernel is the most popular option with Debian being available as well. Users do have a few options for Linux desktop environments, including Ubuntu's default Unity desktop, XFCE, or even KDE Plasma. Since Chromebooks are typically low-specced machines, a lighter desktop environment will obviously run much smoother. In our experience, Unity and KDE both run fairly well and are easy to use, but XFCE is much more responsive and overall much more enjoyable to use. 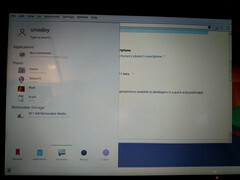 Once set up, Linux runs on a Chromebook as well as it would with any other similarly specced notebook. Desktop navigation is smooth and fluid (based on desktop choice), and the full breadth of apps available in the chosen distro's repositories are available and compatible. In our test machine, we used Ubuntu 16.04 LTS, which gave us access to the full app selection in Ubuntu's repository via the terminal (apt-get). There is a bit of tweaking needed to get the special keys (e.g., volume up or down) to work as they do in ChromeOS, but by and large, the experience is excellent. Should there ever be a problem with the Linux distro, or if a user ever wants to return to ChromeOS exclusively, the process for removing Linux is simple. Once Developer Mode is enabled and Crouton is installed, every time the device reboots, the system prompts the user to re-enable OS Verification. If the spacebar is pressed at this startup prompt, the device will completely reset to stock ChromeOS. 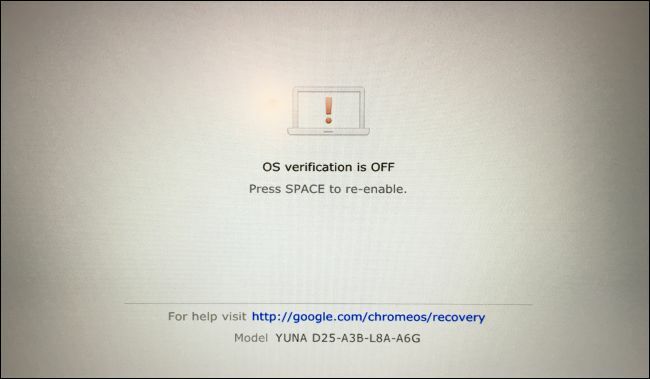 After setting up the machine and logging into a Google account, the Chromebook will begin the process of restoring itself and be back to its most recent state, apps and all, in about 15 minutes or less. You can also delete a Linux install through chroot. 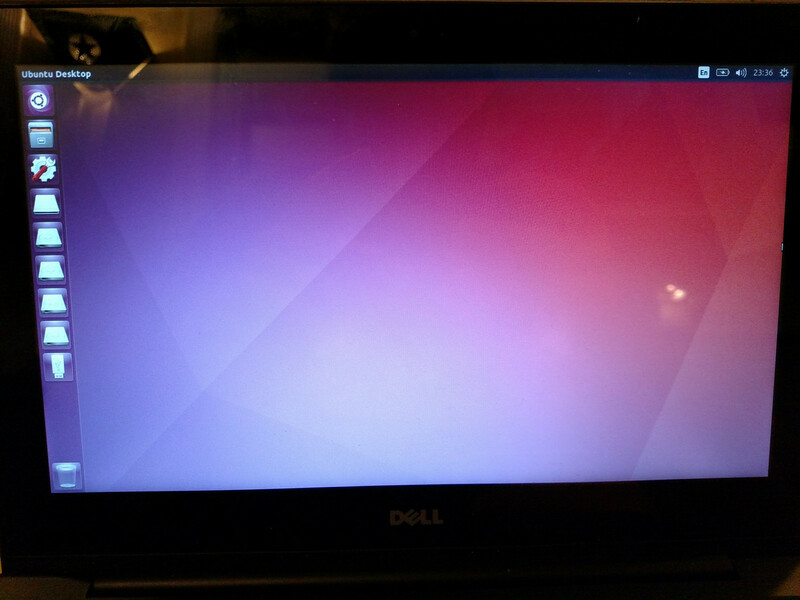 We are merely scratching the surface with the capabilities of running Linux on a Chromebook (Wine, anyone?). 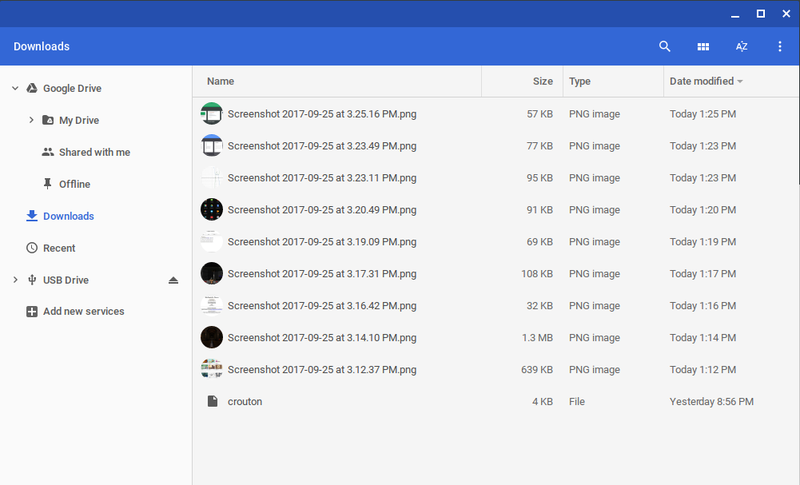 There is no shortage of projects, hacks, and tweaks available through ChromeOS once Developer Mode is enabled; the Crouton project is merely one of many. Chromebooks, which were originally supposed to offer a low-cost alternative to schools and individuals who have very basic computing needs, are now becoming increasingly powerful. No longer are Chromebooks just 'toys'. They can get some serious work done, provided you know where to look for the apps that provide the functionality. From what we have seen so far, Chromebooks provide functionality that spans web browsing, email, chat, office work such as creating documents, spreadsheets, presentations, and moderate photo editing although with respect to audio and video, they are more geared towards consumption rather than any heavy editing work. Chromebooks are effective task and project managers, and can do some light casual gaming as well. 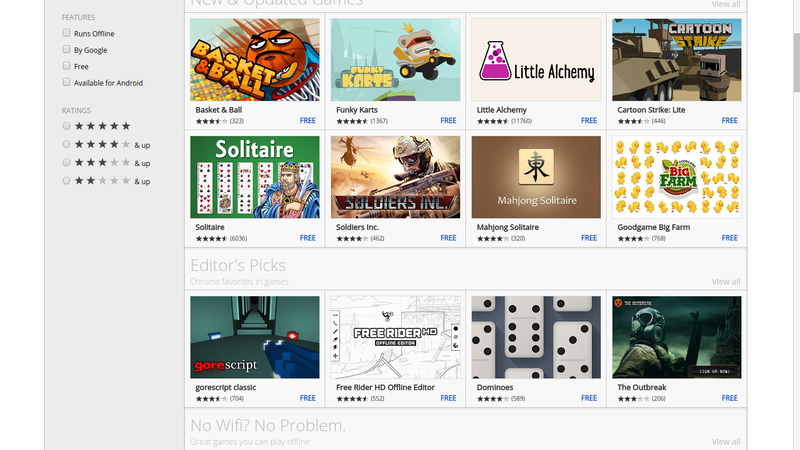 Given the online-centric nature of Chromebooks, it is somewhat of a respite to see a fair number of offline apps in the Web Store. Android app support for ChromeOS is still under development and might not work for all apps available in the Play Store. All in all, your investment in Chromebooks depends on your computing needs. If you're a content creator looking to use best-in-class software of the likes of Adobe or Autodesk, or a gamer looking to play the widest variety of games possible, Chromebooks might not entice you much. However, if you are looking towards a no-frills computing experience that always works whenever you want to without worrying about additional investments in security software or staying on top of driver updates, and you see yourself mostly working in an online environment, Chromebooks perfectly fit the bill. There's not much to tinker around and chances that something will brick the computer are second to none. If you're still on the fence, try using the open-source ChromiumOS in a virtual machine (VM) and see if it works for you — you might just discover that it indeed does. > Notebook / Laptop Reviews and News > News > News Archive > Newsarchive 2017 10 > What can you do with a Chromebook?